By utilizing a new method for the analysis of MRI data, clinicians may be able to distinguish between ER-positive breast cancer patients who require hormone therapy and those who require chemotherapy. Details of the new analytic method, which is highlighted for its rapidity when compared with current tests, were reported recently in Nature Scientific Reports by researchers from Case Western Reserve University (OH, USA). In recent years, the advent of genomic testing has enabled differentiation of aggressive and nonaggressive cancer at the molecular level; however, this requires extensive analysis of tumor biopsies. Madabhushi and team aimed to identify any potential signals that could be harnessed to differentiate aggressive ER-positive from less aggressive disease by scrutinizing radiologic data from MRIs. Dynamic contrast-enhanced MRI images from 96 ER-positive cancer patients were analyzed within the study – all patients had also undergone genomic testing. The Case Western team discovered differences in gene expression that manifested as changes in textural patterns in the MRIs. They were able to convert these texture changes into quantitative measurements that were then analyzed to predict which patients needed chemotherapy. The conclusions reached with this method matched that of the genomic testing in 85 % of the cases. If validated in further trials, the test could provide a low cost option that could open the door to this kind of testing worldwide. 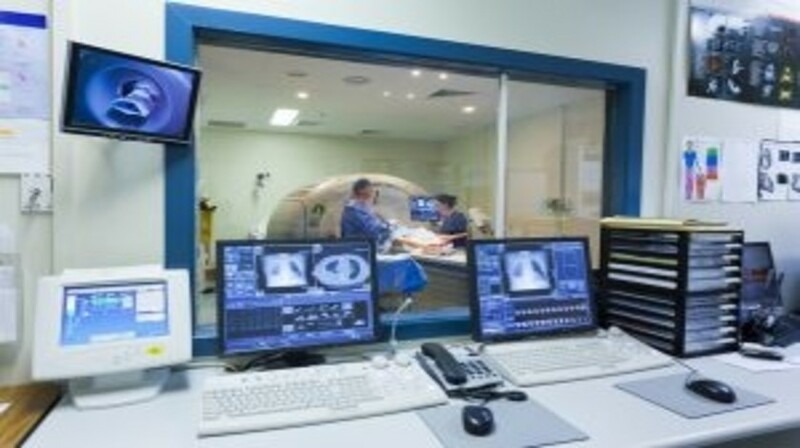 The test requires an MRI scan, which is often already prescribed for those newly diagnosed with cancer, and an associated computer program. As no tissue analysis is required, the wait for test results could be dramatically reduced, allowing patients to begin treatment more rapidly. “With cloud computing and data warehousing, we can analyze images coming in from anywhere in the world,” Madabhushi explained. “It breaks down geographic boundaries because everything is electronically transmitted. The team are now seeking funding to continue to evaluate their MRI analysis method – investigations that will include following up the initial 96 patients and testing scans from further sites to validate the initial findings.